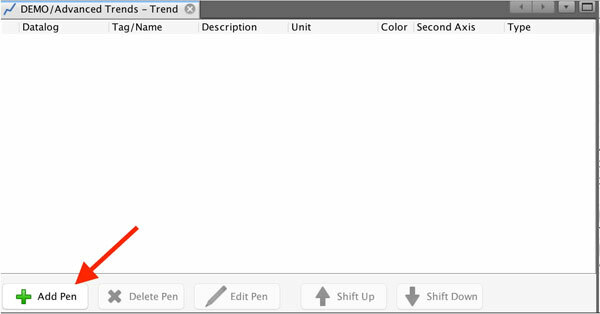 You can easily present your historical data in the form of a historical trend. 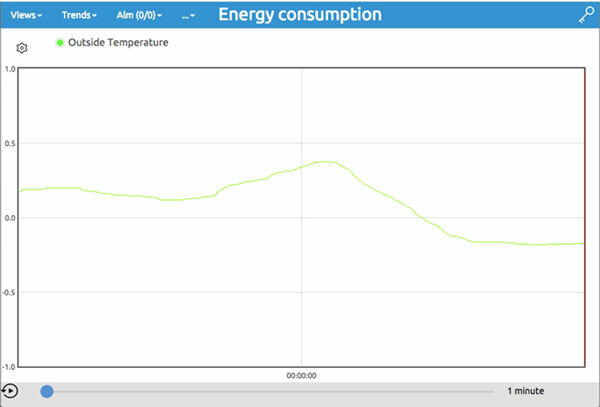 To do so, first look at the chapter Data Logging to set your data-log from which to retrieve data. 2. 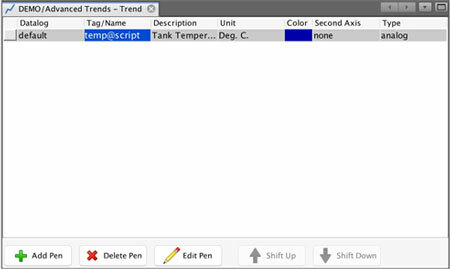 A new dialog window will show up where you can fill in the trend name and description. 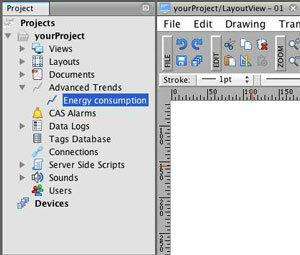 Then click on OK.
3. 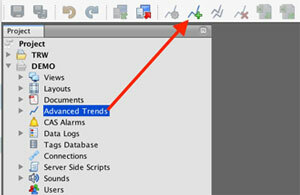 Now the new trend ‘myAdvancedTrend’ is created and you can find it in the Advanced Trends folder of the Project window. 4. 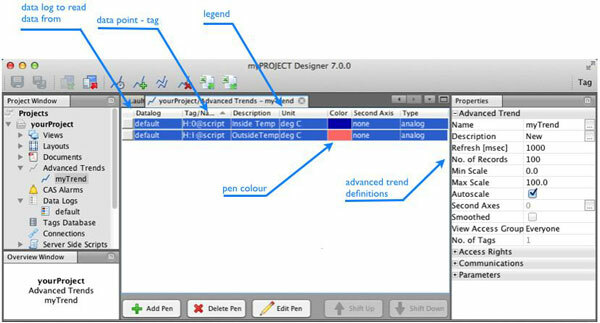 Double click on the newly created trend to open it. 5. 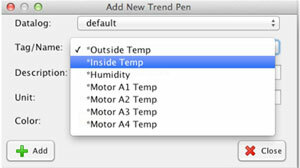 Click on the Add Pen button in the lower part of the Advanced Trend Definition window. 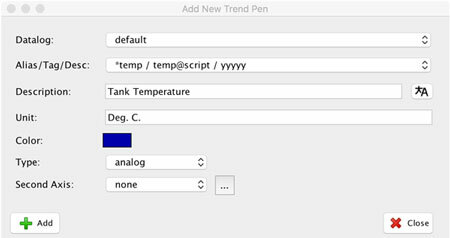 Note: You can freely add as many pens as you wish; they can read data from multiple data-logs.